In aviation, a terrain awareness and warning system (TAWS) is generally an on-board system aimed at preventing unintentional impacts with the ground, termed "controlled flight into terrain" accidents, or CFIT. The specific systems currently in use are the ground proximity warning system (GPWS) and the enhanced ground proximity warning system (EGPWS). The U.S. Federal Aviation Administration (FAA) introduced the generic term TAWS to encompass all terrain-avoidance systems that meet the relevant FAA standards, which include GPWS, EGPWS and any future system that might replace them. As of 2007, 5% of the world's commercial airlines still lacked a TAWS, leading to a prediction of two CFIT accidents in 2009, even though they were completely preventable. Several factors can still place aircraft at risk for CFIT accidents: older TAWS systems, deactivation of the EGPWS system, or ignoring TAWS warnings when an airport is not in the TAWS database. A piece of the remains of Air New Zealand Flight 901, which crashed in 1979, despite being equipped with a TAWS. All 257 people on the plane died. Beginning in the early 1970s, a number of studies looked at the occurrence of CFIT accidents, where a properly functioning airplane under the control of a fully qualified and certificated crew is flown into terrain (or water or obstacles) with no apparent awareness on the part of the crew. Findings from these studies indicated that many such accidents could have been avoided if a warning device called a ground proximity warning system (GPWS) had been used. As a result of these studies and recommendations from the U.S. National Transportation Safety Board (NTSB), in 1974 the FAA required all Part 121 certificate holders (that is, those operating large turbine-powered airplanes) and some Part 135 certificate holders (that is, those operating large turbojet airplanes) to install TSO-approved GPWS equipment. In 1978, the FAA extended the GPWS requirement to Part 135 certificate holders operating smaller airplanes: turbojet-powered airplanes with ten or more passenger seats. These operators were required to install TSO-approved GPWS equipment or alternative ground proximity advisory systems that provide routine altitude callouts whether or not there is any imminent danger. This requirement was considered necessary because of the complexity, size, speed, and flight performance characteristics of these airplanes. The GPWS equipment was considered essential in helping the pilots of these airplanes to regain altitude quickly and avoid what could have been a CFIT accident. Installation of GPWS or alternative FAA-approved advisory systems was not required on turbo-propeller powered (turboprop) airplanes operated under Part 135 because, at that time, the general consensus was that the performance characteristics of turboprop airplanes made them less susceptible to CFIT accidents. For example, it was thought that turboprop airplanes had a greater ability to respond quickly in situations where altitude control was inadvertently neglected, as compared to turbojet airplanes. However, later studies, including investigations by the NTSB, analyzed CFIT accidents involving turboprop airplanes and found that many of these accidents could have been avoided if GPWS equipment had been used. Some of these studies also compared the effectiveness of the alternative ground proximity advisory system to the GPWS. GPWS was found to be superior in that it would warn only when necessary, provide maximum warning time with minimal unwanted alarms, and use command-type warnings. Based on these reports and NTSB recommendations, in 1992 the FAA amended §135.153 to require GPWS equipment on all turbine-powered airplanes with ten or more passenger seats (57 FR 9944, March 20, 1992). A Mode 5 warning in EGPWS alerts the pilots if they descend below the glideslope during a landing approach. After these rules were issued, advances in terrain mapping technology permitted the development of a new type of ground proximity warning system that provides greater situational awareness for flight crews. The FAA has approved certain installations of this type of equipment, known as the enhanced ground proximity warning system (EGPWS). However, in the proposed final rule, the FAA is using the broader term “terrain awareness and warning system” (TAWS) because the FAA expects that a variety of systems may be developed in the near future that would meet the improved standards contained in the proposed final rule. The TAWS improves on existing GPWS systems by providing the flight crew much earlier aural and visual warning of impending terrain, forward looking capability, and continued operation in the landing configuration. These improvements provide more time for the flight crew to make smoother and gradual corrective action. In 1998, the FAA issued Notice No. 98-11, Terrain Awareness and Warning System (63 FR 45628, August 26, 1998), proposing that all turbine-powered U.S.-registered airplanes type certificated to have six or more passenger seats (exclusive of pilot and copilot seating), be equipped with an FAA-approved terrain awareness and warning system. On March 23, 2000, the FAA issued Amendments 91–263, 121–273, and 135-75 (Correction 135.154) (65 FR 16736, March 29, 2000) with an effective date of March 29, 2001. These amendments amended the operating rules to require that all U.S. registered turbine-powered airplanes with six or more passenger seats (exclusive of pilot and copilot seating) be equipped with an FAA-approved TAWS. The mandate only affects aircraft manufactured after March 29, 2002. On March 7, 2006, the NTSB called on the FAA to require all U.S.-registered turbine-powered helicopters certified to carry at least 6 passengers to be equipped with a terrain awareness and warning system. The technology had not yet been developed for the unique flight characteristics of helicopters in 2000. A fatal helicopter crash in the Gulf of Mexico, involving an Era Aviation Sikorsky S-76A++ helicopter with two pilots transporting eight oil service personnel, was one of many crashes that prompted the decision. A TAWS works by using digital elevation data and airplane instrumental values to predict if a likely future position of the aircraft intersects with the ground. The flight crew is thus provided with "earlier aural and visual warning of impending terrain, forward looking capability, and continued operation in the landing configuration." The FAA specifications have detailed requirements for when certain warnings should sound in the cockpit. Required: Class A TAWS installations shall provide a terrain awareness display that shows either the surrounding terrain or obstacles relative to the airplane, or both. Descent of the airplane to 500 feet above the terrain or nearest runway elevation (voice callout "Five Hundred") during a non-precision approach. Optional: Class B TAWS installation may provide a terrain awareness display that shows either the surrounding terrain or obstacles relative to the airplane, or both. Class C defines voluntary equipment intended for small general aviation airplanes that are not required to install Class B equipment. This includes minimum operational performance standards intended for piston-powered and turbine-powered airplanes, when configured with fewer than six passenger seats, excluding any pilot seats. Class C TAWS equipment shall meet all the requirements of a Class B TAWS with the small aircraft modifications described by the FAA. The FAA has developed Class C to make voluntary TAWS usage easier for small aircraft. Prior to the development of GPWS, large passenger aircraft were involved in 3.5 fatal CFIT accidents per year, falling to 2 per year in the mid-1970s. A 2006 report stated that from 1974, when the U.S. FAA made it a requirement for large aircraft to carry such equipment, until the time of the report, there had not been a single passenger fatality in a CFIT crash by a large jet in U.S. airspace. After 1974, there were still some CFIT accidents that GPWS was unable to help prevent, due to the "blind spot" of those early GPWS systems. More advanced systems were developed. Older TAWS, or deactivation of the EGPWS, or ignoring its warnings when airport is not in its database, or even the entire EGPWS altogether still leave aircraft vulnerable to possible CFIT incidents. In April 2010, a Polish Air Force Tupolev Tu-154M aircraft crashed near Smolensk, Russia, in a possible CFIT accident killing all passengers and crew, including the Polish President. The aircraft was equipped with TAWS made by Universal Avionics Systems of Tucson. According to the Russian Interstate Aviation Committee TAWS was turned on. However, the airport where the aircraft was going to land (Smolensk (XUBS)) is not in the TAWS database. In January 2008 a Polish Air Force Casa C-295M crashed in a CFIT accident near Mirosławiec, Poland, despite being equipped with EGPWS; the EGPWS warning sounds had been disabled, and the pilot-in-command was not properly trained with EGPWS. ^ a b "Forecasts 2009 – Safety and security are in the doldrums". Flight International. Retrieved October 18, 2011. ^ fika (April 27, 2010). ""Lotniska w Smoleńsku mogło nie być w bazie GPWS" – Polska – Informacje – portal TVN24.pl – 27.04.2010". Tvn24.pl. Retrieved October 18, 2011. ^ a b c d e f g h i j Note: Original text copied from U.S. FAA Circular AC23-18 . As a work of the United States government, there is no copyright on the work, and it may be freely copied, and is thus included here. Additional or reduced text and formatting, not included in the original, have been added here for clarity and emphasis. ^ "Sec. 121.354 – Terrain awareness and warning system". Federal Aviation Administration. Retrieved April 29, 2007. ^ "NTSB Calls for Terrain Collision Avoidance Systems for All Turbine Powered Helicopters That Carry at Least 6 Passengers". sirs.com. Retrieved January 16, 2016. ^ "Our Opinions on Collision Avoidance Systems". Eastern Avionics International. Archived from the original on April 6, 2007. 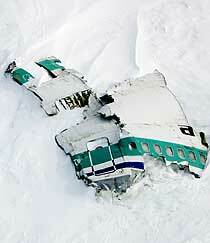 Retrieved April 29, 2007. ^ "Avionics Intel: TAWS" (PDF). Aircraft Electronics Association. Archived from the original (PDF) on May 28, 2006. Retrieved April 29, 2007. ^ a b c "Current Technical Standard Order". RGL.FAA.gov. Retrieved October 18, 2011. ^ Definitions copied from U.S. FAA Circular AC23-18. As a work of the United States government, there is no copyright on the work, and it may be freely copied, and is thus included here. Additional text, formatting, and boldface not included in the original have been added here for clarity and emphasis. ^ Text was originally copied from TSO-C151a. These specifications may have changed in TSO-C151b and should be verified for current accuracy. ^ William Reynish (April 1, 2006). "Avionics Magazine :: Terrain Avoidance Technology: What Lies Ahead?". AviationToday.com. Retrieved October 18, 2011. ^ Sabatini, Nicholas. "Downward Pressure on the Accident Rate". Federal Aviation Administration. Retrieved March 19, 2009. ^ ""Lotniska w Smoleńsku mogło nie być w bazie GPWS" – Polska – Informacje – portal TVN24.pl – 27.04.2010". Tvn24.pl. April 27, 2010. Retrieved October 17, 2011. ^ a b Levin, Alan (April 13, 2010). "Device spurs questions in Polish crash". USA Today. ^ "Tu-154 miał system ostrzegania. Nie zadziałał?". Tvp.Info. April 15, 2010. Retrieved October 17, 2011. ^ "Smolot prezydenta nie miał prawa się rozbić!". Fakt.pl. Retrieved October 17, 2011. ^ "Wprost 24 – Nie było nacisków na załogę Tu-154, zapis czarnych skrzynek będzie upubliczniony". Wprost.pl. April 16, 2010. Retrieved October 17, 2011. ^ "ASN Aircraft accident CASA C-295M 019 Miroslawiec AB". Aviation-safety.net. Retrieved October 17, 2011.